A number of countries are dealing with high and rising obesity levels. Few have addressed the problem with the zeal of Mexico. One element of Mexico’s anti-obesity program centers on product labeling. The nation issued new front-of-pack (FOP) nutritional labeling requirements for pre-packaged foods produced domestically or imported, including dairy. Lawmakers are hoping the measure will make people more conscious of calorie intake. For companies exporting consumer packaged dairy to Mexico the law requires action. The most significant change with the new regulations is the mandate to include an FOP nutrition label with information icons on saturated fat, other fat, sugar, sodium, and energy as a percentage of daily nutrients in colored icons (see image below). Family packs (including cheeses of 90g or more) need a sixth icon of energy per pack. The regulation establishes specific size and placement requirements for the FOP icons, as well as rounding rules for the numbers displayed inside them. Q: Which products are covered in the scope of the FOP regulation? A: Front-of-pack labeling is required for prepackaged foods. For example, all retail products and most foodservice products that are sold in club stores and wholesale markets will have to comply with the new regulation, at least in the master case for foodservice presentations. Products presented in a collective container that are labeled as “not for individual sale” (or similarly) are exempt, as are products sold in bulk. Q: Can a sticker be used for the new required nutritional icons? A: Mexico permits the use of a complementary label (sticker) on imported products. The FOP amendment to this regulation does not make any changes to this allowance. Q: Can I continue to use the same bilingual label in the U.S. and Mexican markets? A: The Mexican icon requirements differ from U.S. labeling regulations. Any label used on goods in each market must meet that country’s national requirements. 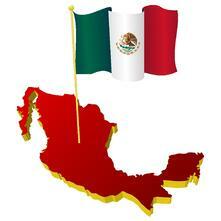 Q: Will Mexico grant an extension to the June 30, 2015, implementation date? Mexico’s Federal Commission for the Protection against Sanitary Risks (COFEPRIS) is allowing requests to delay the enforcement date for up to one year on a case-by-case basis. To get the extension, the importer, distributor or responsible party in Mexico must submit a letter to COFEPRIS that includes detailed information on the reasons for the extension. Before finalizing any changes to product labels, we recommend that exporters submit their labels to a verification unit to receive a labeling compliance letter, or constancia de cumplimiento (constancia). The constancia verifies that the labels comply with NOM 051 and its new front-of-pack labeling requirements. Presenting a constancia to the Ministry of Health may facilitate the issuance of import permits. USDEC members can obtain a list of verification authorities in the Label Registration/Approval section in Volume 2 of the USDEC Export Guide and learn more about the FOP requirements in Volume 3: Labeling and Product Standards. Note: For questions on the new regulations, please contact Rodrigo Fernandez (rafernandez@usdecmexico.com) or Veronica Ozaeta (vozaeta@usdecmexico.com) in USDEC’s Mexico office or Sandra Benson, director, market access and regulatory affairs (sbenson@usdec.org) at USDEC’s Arlington, Va., headquarters.